View The Obituary For WILMA (BAKER) KIRK. Please join us in Loving, Sharing and Memorializing WILMA (BAKER) KIRK on this permanent online memorial presented by Baker Funeral Home Valley Center. View The Obituary For Georgianna Nickerson. Please join us in Loving, Sharing and Memorializing Georgianna Nickerson on this permanent online memorial presented by Kinsley Mortuary, Padden Funeral Chapel, Hanover Mortuary & Axtell-Landreth Funeral Home. View The Obituary For Ruth L. Cramer. Please join us in Loving, Sharing and Memorializing Ruth L. Cramer on this permanent online memorial presented by Wilson Family Funeral Home. View The Obituary For Eileen Fairchild. Please join us in Loving, Sharing and Memorializing Eileen Fairchild on this permanent online memorial presented by Charles G. Schmitt Funeral Home. View The Obituary For Patricia Ann Maguire. Please join us in Loving, Sharing and Memorializing Patricia Ann Maguire on this permanent online memorial presented by Charles G. Schmitt Funeral Home. View The Obituary For Velma Imogene Van Dolah. Please join us in Loving, Sharing and Memorializing Velma Imogene Van Dolah on this permanent online memorial presented by Prairie Rose Funeral Homes. View The Obituary For Kay Dodge Lowder. Please join us in Loving, Sharing and Memorializing Kay Dodge Lowder on this permanent online memorial presented by Jones – Campbell Funeral Home. View The Obituary For Gary Shane Linck. Please join us in Loving, Sharing and Memorializing Gary Shane Linck on this permanent online memorial presented by Harman-Rohde Funeral Home. View The Obituary For Richard L. Beamer. Please join us in Loving, Sharing and Memorializing Richard L. Beamer on this permanent online memorial presented by Miles Funeral Service. View The Obituary For Ruth L. Cramer of Glasco, Kansas. Please join us in Loving, Sharing and Memorializing Ruth L. Cramer on this permanent online memorial presented by Wilson Family Funeral Home. View The Obituary For Edna "Louise" Wilson. Please join us in Loving, Sharing and Memorializing Edna "Louise" Wilson on this permanent online memorial presented by Miles Funeral Service. 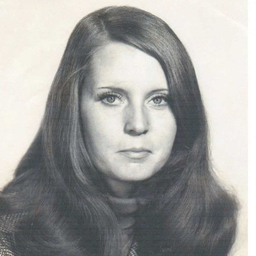 View The Obituary For Kay Dodge Lowder of Yates Center, Kansas. Please join us in Loving, Sharing and Memorializing Kay Dodge Lowder on this permanent online memorial presented by Jones – Campbell Funeral Home. View The Obituary For Eileen Fairchild of Amityville, New York. Please join us in Loving, Sharing and Memorializing Eileen Fairchild on this permanent online memorial presented by Charles G. Schmitt Funeral Home. View The Obituary For Shannon E. Brown. Please join us in Loving, Sharing and Memorializing Shannon E. Brown on this permanent online memorial presented by Miles Funeral Service. View The Obituary For Velma Imogene Van Dolah of Harper, Kansas. Please join us in Loving, Sharing and Memorializing Velma Imogene Van Dolah on this permanent online memorial presented by Prairie Rose Funeral Homes. View The Obituary For Ermadean Marie Zimmerman of Great Bend, Kansas. Please join us in Loving, Sharing and Memorializing Ermadean Marie Zimmerman on this permanent online memorial presented by Bryant Funeral Home and Nicholson-Ricke Funeral Home. View The Obituary For Georgianna Nickerson of Marysville, Kansas. Please join us in Loving, Sharing and Memorializing Georgianna Nickerson on this permanent online memorial presented by Kinsley Mortuary, Padden Funeral Chapel, Hanover Mortuary & Axtell-Landreth Funeral Home. View The Obituary For Patricia Ann Maguire of Seaford, New York. Please join us in Loving, Sharing and Memorializing Patricia Ann Maguire on this permanent online memorial presented by Charles G. Schmitt Funeral Home. View The Obituary For Robert "Bob" Wilson of Great Bend, Kansas. Please join us in Loving, Sharing and Memorializing Robert "Bob" Wilson on this permanent online memorial presented by Bryant Funeral Home and Nicholson-Ricke Funeral Home.